Heritage Open Days is your chance to visit thousands of buildings and places across England for FREE. Our 12th year of being part of this national voluntary event. You can look around on your own. Visit the Temple, stroll in the gardens, explore the woods, and walk along the beach on Morecambe Bay. Café and Shop open to 5.00. Grounds open dawn to dusk. Try a free simple 15 minute guided meditation and experience inner peace. Starting in the Temple at 12.30, 2.00 and 3.30pm. Enjoy a free guided tour of the Temple and part of the historic House. Starting in the Temple at 1.00 and 2.30pm. Plus children’s activities to help parents and their kids explore on their own and discover things about the Priory. Temple, café and shop open 11am to 5pm. Grounds open dawn to dusk. Adults £3.60 entry donation to NGS, children free. National Gardens Scheme - gardening and giving. Hospice UK, Carers Trust etc. Raised over £22 million in the last 10 years. Our 16th year of opening for the National Gardens Scheme. 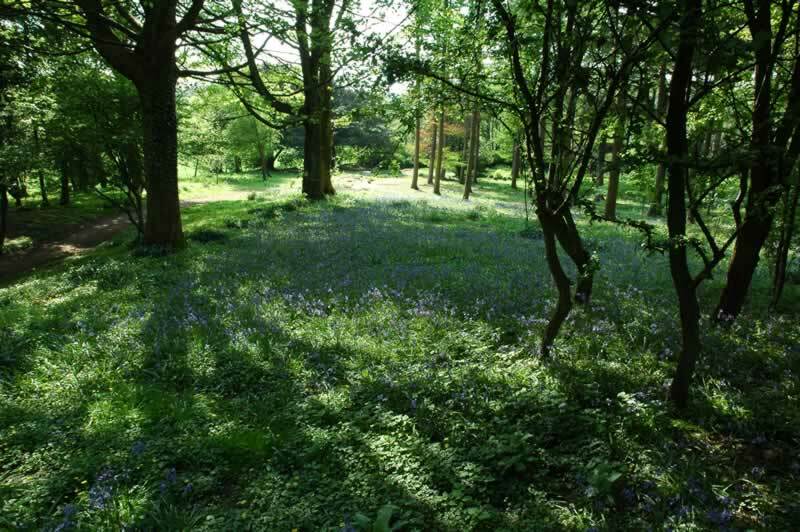 Visitors can explore the gardens and enjoy woodland walks to the beach on Morecambe Bay. Free activities for visitors include 15 minute simple Guided Meditations at 12.30, 2.00 and 3.30, and Guided Tours of the Buddhist Temple and historic house at 1.00 and 2.30.